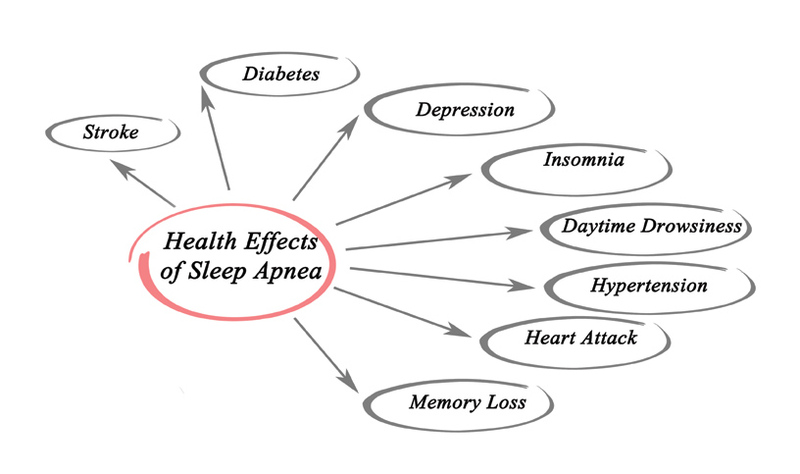 New developments in sleep medicine are opening our eyes to the detrimental effects of snoring and the progression of sleep disordered breathing from gentle snoring to obstructive sleep apnea. Dr. Warren and his team are trained to recognize clinical evidence of sleep disordered breathing or obstructive sleep apnea. Obstructive sleep apnea is the cessation of breathing during sleep that causes the oxygen saturation in your blood to drop below 90%. Normal blood oxygen concentration in a healthy individual is at least 97%. The diagnosis of obstructive sleep apnea depends upon how low and for how long the blood oxygen level drops, as well as how many times a patient stops breathing in an hour. Sleep doctors recognize three levels of severity; mild, moderate or severe. 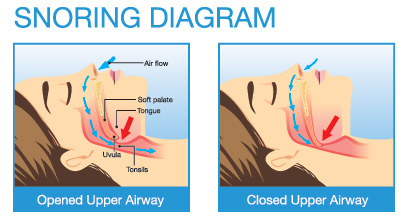 While the severe forms require a CPAP machine to blow air into the patient’s airway to prevent collapsing of the airway during sleep, mild and moderate cases can be treated successfully with a dental appliance called a snore appliance, snore guard or sleep apnea prosthesis. Dr. Warren is trained to assess your specific needs and then select and customize an appliance that will help maintain an open airway for healthy breathing during sleep.